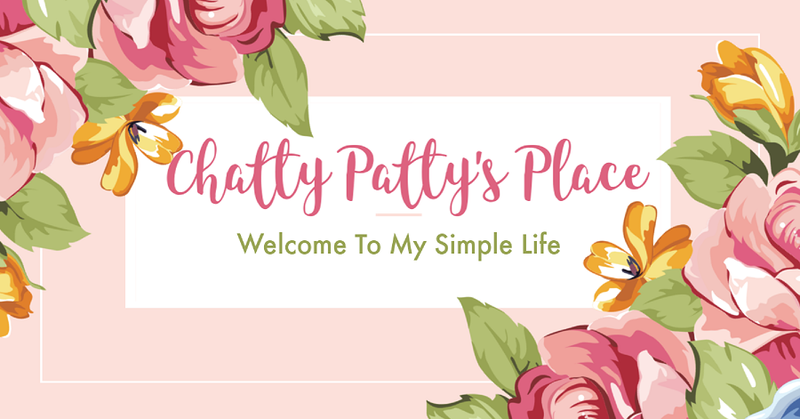 Welcome to DAY 3 of the 12 Days of Movie Related Giveaways hosted by Chatty Patty's Place and The Review Wire! 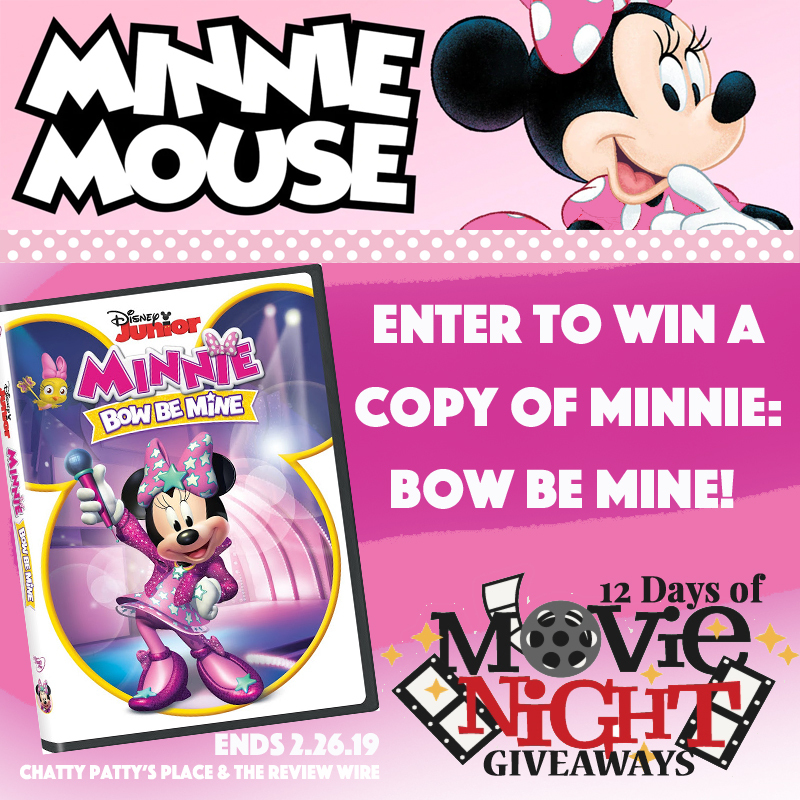 In honor of the upcoming movie awards next week, we are holding 12 days of movie related giveaways each day! 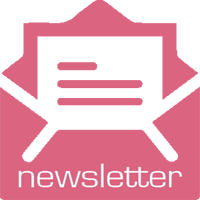 Be sure to check back daily! Good Luck! As the Happy Helpers from Mickey and the Roadster Racers, BFFs Minnie and Daisy take center stage as they tackle super-tough tasks and help friends who need a hand: judging a surfing contest in Hawaii, solving a doozy of a mystery, photographing a rare rainforest bird and much more! Then, watch Minnie rock out onstage at Hot Dog Hills Stadium! 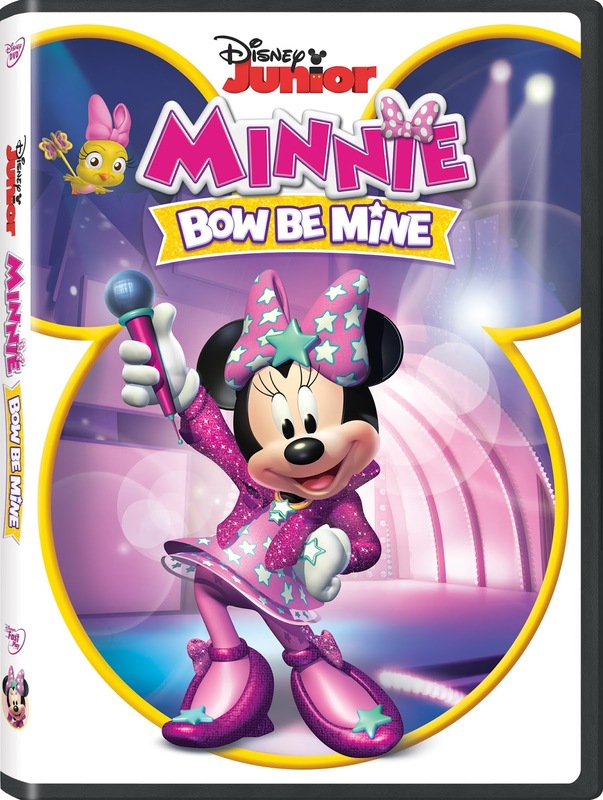 Featuring two bonus music videos, Minnie: Bow Be Mine amps up the fun to a whole new level of awesome. Voice Cast: Russi Taylor as Minnie Mouse; Tress MacNeille as Daisy Duck; Bret Iwan as Mickey Mouse; Daniel Ross as Donald Duck; Bill Farmer as Goofy; Jim Cummings as Pete; and Jay Leno as Billy Beagle. Be sure to check out my post on how to make your own Minnie ears!